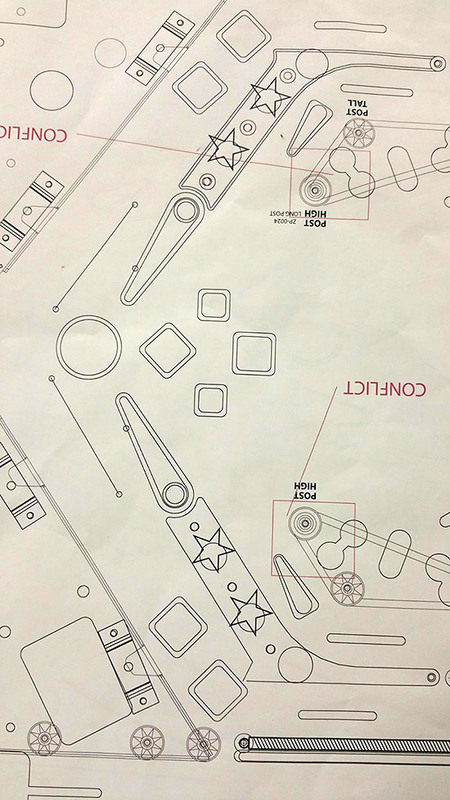 A new pinball design and manufacturing company has announced its presence. 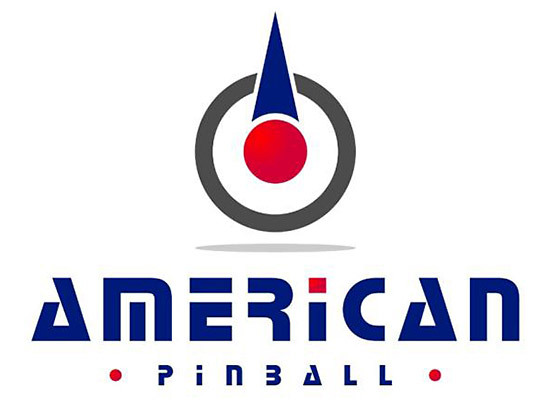 American Pinball is based in Streamwood, Illinois to the west of Chicago. 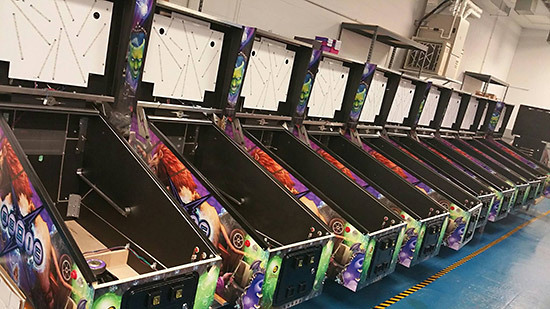 The company began work on their 15,000 square feet design and assembly facility at the end of last year and Pinball News has been following their progress since early this year. 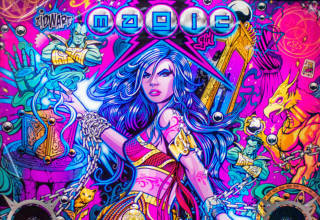 The end of 2015 was not a happy time for many in the boutique pinball business, and especially everyone involved in Zidware’s Magic Girl, Retro Atomic Zombie Adventureland and Alice in Wonderland projects. The attempt to salvage the Magic Girl game – the most developed of the three – earlier in the year had collapsed amid claims of misrepresentation about how much work still remained, and the pre-prototype game had been shipped back to Zidware’s facility. A legal action against Zidware, John Popadiuk and his wife on behalf of a group of buyers to recover their payments was working its way through the courts, with the very real prospect John would have to file for bankruptcy if the action was successful. John himself said publicly that the only way any of the games could be saved would be if a millionaire investor came along. Many said, however, that someone who was just an investor wouldn’t help the situation, and what was really needed was for someone to take charge of the projects and have enough control to see them through to production. Even then it was hard to see how this person would be able to get the games to their buyers without losing a large sum of money in the process. 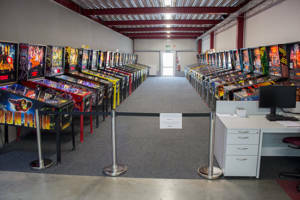 American Pinball was set up by Dhaval Vasani to design and manufacture high-end pinball machines as well as other amusement games. 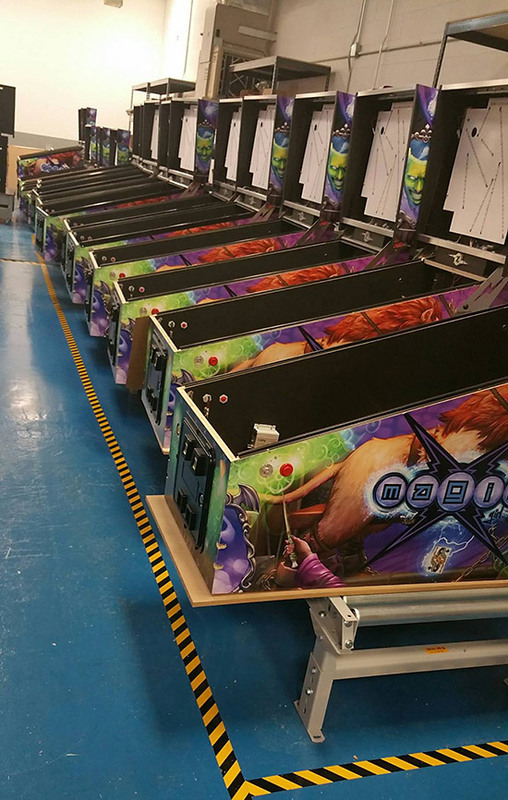 Vasani comes from the contract manufacturing business, so American Pinball is expected to offer manufacturing of games for other companies in addition to their own designs. To, literally, get the ball rolling they needed some initial designs to build, and that’s where their collaboration with John Popadiuk began. The Zidware studio was in an estate of office and light-industrial units in Sangra Ct in Streamwood, Illinois. 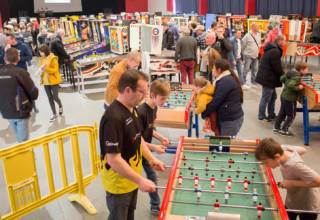 American Pinball’s facility is in the same estate, albeit in a much larger unit. 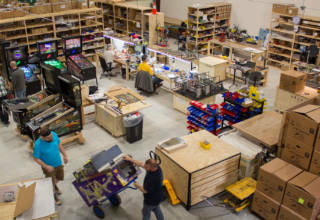 That unit is still not large enough to support full machine manufacturing, so assemblies, cabinets and playfields are expected to be made off-site, with their design, assembly and testing taking place at Streamwood. If American Pinball is looking for places to make key components for their games, it shouldn’t have to look too far. The Vasani family runs the Aimtron contract manufacturing company which has a PCB making plant in China and an expanding surface-mount plant in India. It’s headquarters, though, are at it’s US manufacturing facility which is in… Streamwood, IL. Which brings us back to Magic Girl and the other Zidware titles, and the opprobrium associated with Popadiuk from his failure to deliver the purchased games. How could those buyers be appeased so that John, his future designs and American Pinball be free from the failure and the fallout from those previous projects? We have known for a couple of months how 25 near-complete Magic Girl games had been built and were sitting in the American Pinball warehouse. These, it was suggested to us, were to go to the litigants in the legal action, although on what terms they would be offered was not clear. Not all those who signed up to the action paid the same amount (some may have only part paid, while others had purchased two or three games in full), and not all had even purchased the Magic Girl title. We did not report this at the time in case it scuppered any potential deal to get machines to the buyers. It was initially thought production of these 25 games could only make financial sense if they were followed by a bigger run of Magic Girl machines for sale to the general public. 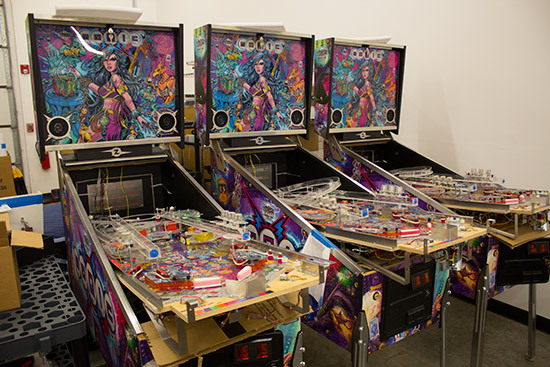 In order to keep the exclusivity and the accompanying high price, the original 25 machines would need to be a Limited Edition or other exclusive variant, but profits from the standard edition could then pay for the LEs to be made and delivered to the original purchasers at no further cost to them. On Friday American Pinball made the joint announcement firstly of their existence, and also details of their first title, Houdini: Master Mystery, which will be unveiled ahead of the Global Gaming Expo in Las Vegas on Monday 26th September, 2016. The game is expected to retail at around $6,995. Chicago, IL – September 26, 2016 – American-Pinball, manufacturer of arcade games and amusements, is excited to announce the world-wide release of Houdini – Master Mystery™ pinball machine for the home, arcades, gaming centers and magic collectors. 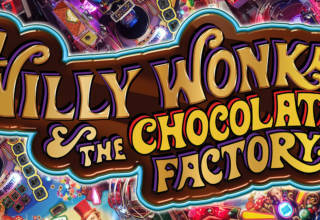 The unveiling will take place September 26th at the Venetian Las Vegas hotel on the eve of G2E, The Global Gaming Expo. Based in the mecca of the pinball universe just outside Chicago, Illinois, American Pinball features a team with decades of industry experience and is launching its first pinball machine under the name Houdini for several reasons. Known as a masterful magician and Harry Houdini is considered the greatest magician, conjurer and escape artist that there ever was. Captivating audiences worldwide with his legendary escapes and shows was his specialty, the Houdini™ pinball will carry on that magical tradition as a beautiful crafted pinball machine featuring a one-of-a-kind pinball theater experience with an LCD color screen and patented cabinet. American-Pinball has also added a performance of new Houdini™ features to amaze players including: The Floating Ball, Water Torture Cell, Levitating Bumper, The Bullet Catch, Hindu Needle Trick, Spirit Box, Buried Alive Sarcophagus, Lock Chambers, Magic Beasts, The Séance, Milk Can Escape and Jennie the Vanishing Elephant! 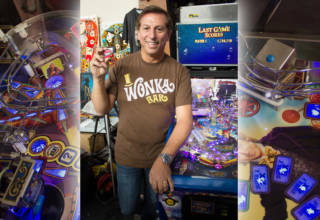 “Houdini – Master Mystery pinball transforms under the hood as well with the newest game motherboards created by award winning Gigabyte Technology to drive all of Houdini’s pinball effects, full color graphics, sounds, gameplay and music,” explained Vasani. Although no mention is made of John Popadiuk’s name, there is enough corroborating evidence to suggest this is a re-themed (and possibly cost-reduced) version of his Magic Girl game. Not unsurprisingly, the announcement of a new John Popadiuk game did not go down well with buyers of Magic Girl, Retro Atomic Zombie Adventureland or Alice in Wonderland, or those who sympathise with their plight. To their credit, American Pinball has not deleted the less-than-flattering comments on their Facebook page ahead of the unveiling in Las Vegas. Is JPOP going? 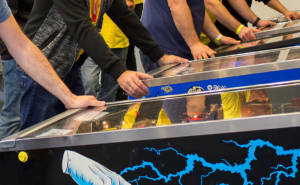 Is he returning the $1M he stole from the pinball community? The greatest pinball magician: John Popadiuk! He makes people’s money disappear!!!! DO NOT FALL FOR THIS SCAM!! 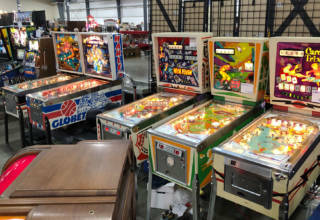 See http://www.johnpopadiuk.com/ for details on how he scammed over $1,000,000 from other pinball collectors. I also suspect this ‘Houdini’ machine will bear striking resemblance to the failed ‘Magic Girl’. RUN AWAY!! 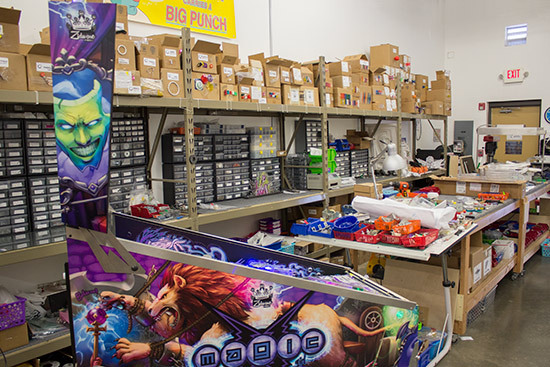 If you want to become a serious Pinball Company, you should distance yourselves from JPOOP. Say you were scammed by him because he had a great line of BS. Fire him and give everyone he stole from a discount on the Houdini machine. Build some good will. John Popadiuk needs to immediately refund the 1 million dollars he took from a lot of honest hard working people. John left a trail of lies and broken promises he should be ashamed of himself and if American pinball is connected to John they should also be ashamed of themselves! Then American Pinball revealed the existence of the 25 Magic Girl machines through another Facebook posting. They also posted how “by the end of 2016, Magic Girl machines will be delivered to their rightful owners“. Here’s the American Pinball announcement in full. There is a great deal of speculation in the industry as it relates to our relationship with John Popadiuk. To be clear, American-Pinball is a NEW pinball company and our mission is to create limited edition high-end American-made pinball machines, with our first one being “Houdini-Master Mystery”. With decades of experience in the industry, we can all agree that “JPop” is an extremely skilled pinball professional. He is also a loving father & husband. We believe everyone deserves a 2nd chance and therefore we are supporting John to fulfill his prior commitments related to Magic Girl. That said, we have some GREAT NEWS! These pictures are meant to show you what we’ve been up to, the progress that has gone on and the efforts that are underway. We American-Pinball empathize with the Zidware customers and therefore we are excited to share the following news with all of you. By the end of 2016, Magic Girl machines will be delivered to their rightful owners. We know you all have many questions about other efforts and will continue to update you as additional details are confirmed. The announced intention to get the Magic Girl games to the remaining buyers may have placated some of the more vociferous critics, but big questions still remain concerning the fate of the Retro Atomic Zombie Adventureland and Alice in Wonderland buyers. 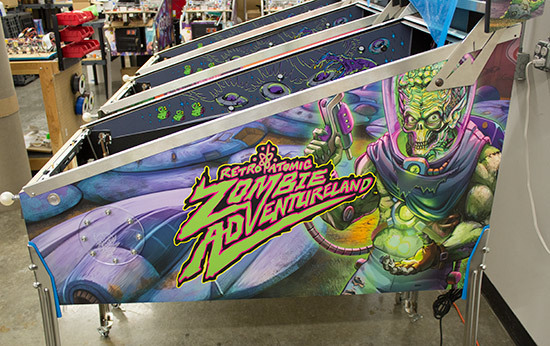 Will game two from American Pinball be a zombie-themed game, with special full-featured versions delivered to Retro Atomic Zombie Adventureland buyers? Will game three have an Alice in Wonderland theme? 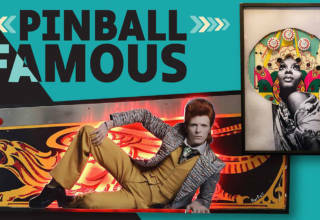 For now we can only say that American Pinball has made a dramatic entrance onto the pinball scene. 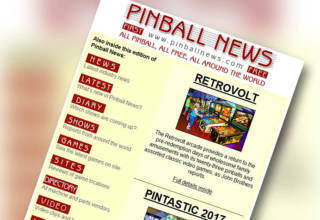 How the company handles the buyers of Zidware’s three undelivered titles and the suppliers who are still owed money will define the welcome they receive from the wider pinball community. The initial signs are promising, but there’s a steep uphill climb ahead before the stigma from the presumed failure of those three titles can be quashed.